Well here we are in WORLD FAMOUS Lafayette, LA. Of course I had spent hours trying to find an RV Resort that was in any of the 4 or 5 organizations that we belong to, but that didn't happen. We ended up at Maxie's Campground, it was OK, very small, the worse part was that it was literally ON Highway 90, so we got to hear the wonderful music of semis, motorcycles and gobbs of cars all night long. We stayed for 3 nights because we really needed a rest, but I sure wish we had made that decision at a place that was a little nicer than this. Oh well, what difference does it make, we're together, our babies are doing great and literally everything adds to the experience of our journey. Oh, I almost forgot to tell you the latest THING that happened, boy what great memories. We've figured out that packing up and getting started every morning is really done on a list of prioities, you know, you do this, then this, then that, all in order. Get the car up on the dolly, tie it all down, put on the lights, disconnect the water line and the sewer, disconnect the electric cord (remember Tim forgot that one time) luckily we haven't made any mistake more than once, we're learning. Of course Tim always gets very dirty doing all that (I've always called him "Pigpen", he walks across a room and dirt flies up on him), anyway, at what point does he come in and take a shower. I pack him a little plastic bag, shampoo, shaver, clothes, etc. I thought I was being a good little girl, right, WRONG, I'm busy trying to get things packed and secured inside, when my cell phone rings, it's Tim, I guess I must have forgotten to give him a towel, he wants me to bring him one, it's pouring down rain, forget it, I hate getting wet, I'm made of sugar, I might melt. He says he could just try and dry off with paper towels, lots of them, I say OK that's good, do that, what difference does it make anyway he's going to get soaked walking back to the RV anyway. We did find, after driving around forever, just accidently happened on this beautiful huge old house, maybe 150 years old, it's a resturant called Nash's. This turned out to really be a find, the inside was gorgeous and the food was outstanding. 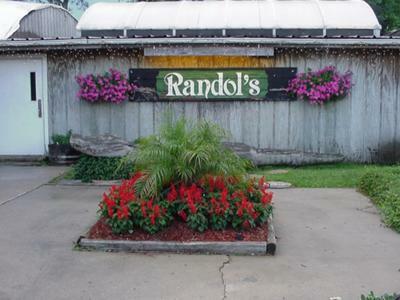 We also found, just following signs, a restaurant called Randol's, it's famous for their crawfish. I've never eaten crawfish but Tim said it was great, so here we go. You can get a 3 lb or 5 lb order, Tim got 5 lbs and they bring it to you in a huge plastic tub, maybe 10 X 15, it's very red, I'd never even seen crawfish before, they are not pretty. The server taught Tim how to break them open, twist off their heads, peel them, kinda like peeling a shrimp, work and work at it and maybe you come away with a very small little bite. It took him over an hour to eat all of them, I couldn't believe it, what a mess, but he loved it and that's all that's important. I have to say we did not find Lafayette to be very exciting and are glad we're on our way again. We headed towards Willis, TX. We'll let you know what we find there. 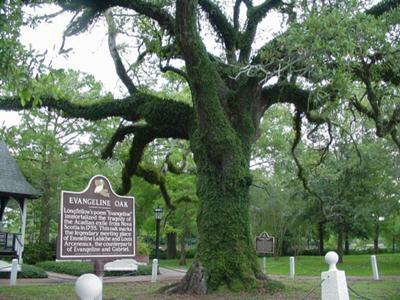 Comments for RVing in WORLD FAMOUS Lafayette, LA. If you are so old or fragile to refuse to take your husband a towel you need to stay home!! Perhaps you should be doing the hooking and un-hooking yourself and he can stay clean and comfortable. I will be 75 and I certainly would take my husband a towel if he did all the dirty work. Consider: You only go around one time. Try it all and rejoice in the adventure. I am so sorry you missed the many historical houses and areas of La. I've seen some beautiful places on the travel television shows. Better luck next time. Drive safely. You are one of the very very few that feels the way you do about the Lafayette area. It is sad. 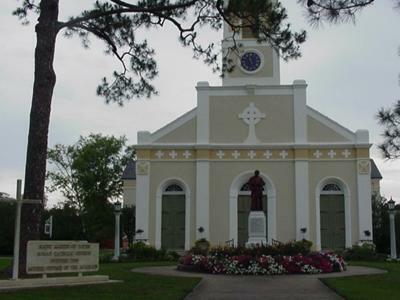 Perhaps, you should have done a better job of research into finding all the interesting things to do and see in the Acadiana area. Beautiful Estero Island, directly on the beach. We are a full-service family resort with full hookups, cable TV, shuffleboard courts, laundry facilities, bathhouses, picnic tables and paved pads. We are walking or biking distance from shopping, restaurants & marinas.